Sourcing | Find My Dream Car. We look after the whole process of selling your car for a percentage of the selling price. We have an extensive customer base and use all the main advertising outlets giving your car the best possible chance of getting the optimum result. 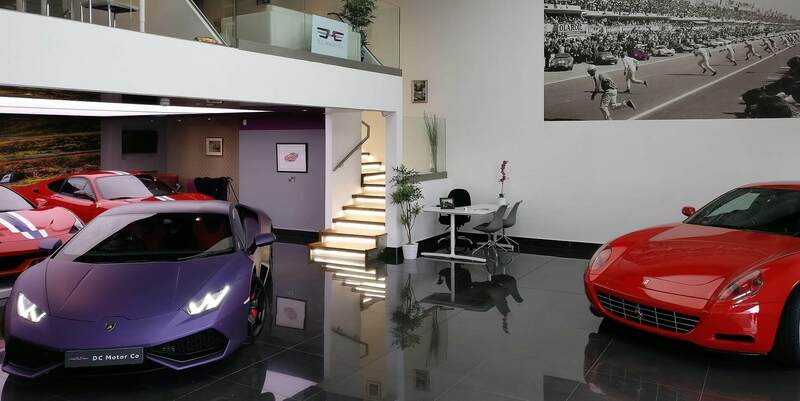 Selling your car in our bespoke showroom in Sandyford. We buy the car directly from you with a price we are both happy with. We are always looking for well maintained, low mileage top Marques. We are happy to consider your existing vehicle against the value of a car which we have in stock or against a car we are sourcing for you. If you have put a deposit on a new car and no longer want it we may be able to buy it from you or sell it on. If it’s in demand we may be able to achieve a small premium. Our Main Goal is to help you find the car of your dreams. Contact us at DC Motor Co today to make it happen! DC Motor Co was founded in 2006 with one vision: to give our customers the best possible personal experience. In 2009 we took control of Ireland’s (IRL) most prestigious supercar dealership. In 2013 we travelled to Dubai to partner with the biggest supercar dealer in the world and established trade buyers in Asia. DC brought the concept of luxury car sourcing to Ireland. Paul Clifford and Adrian Slattery have been friends and car enthusiasts for their entire lives.DC Motor Co has grown into a thriving and successful business, but retains the personal concierge touch that Paul and Adrian wanted from the very beginning. Please feel free to contact us with any questions that you may have about any of our services.